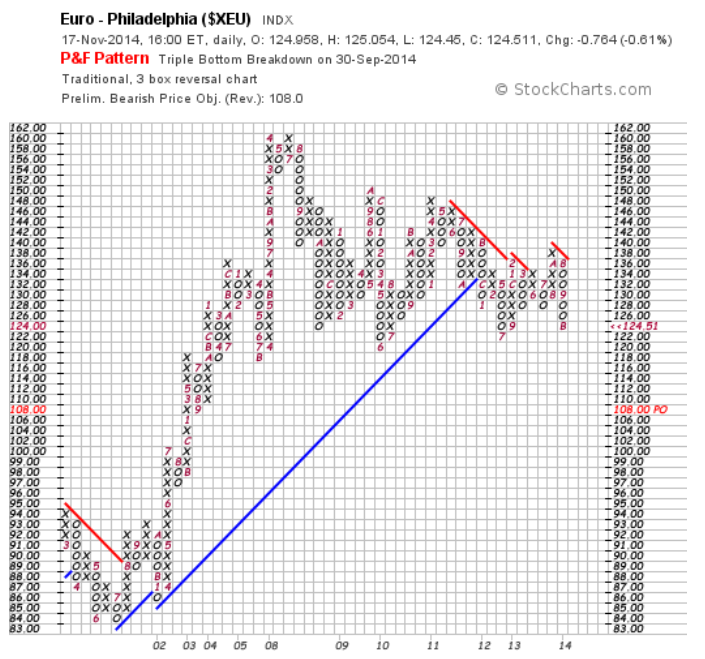 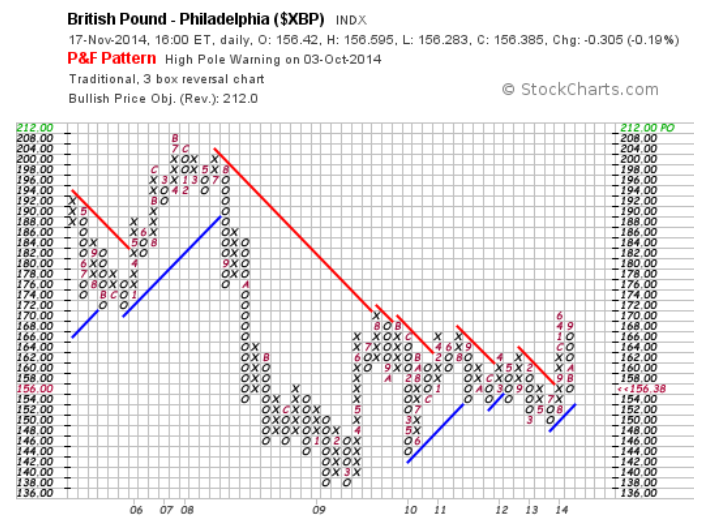 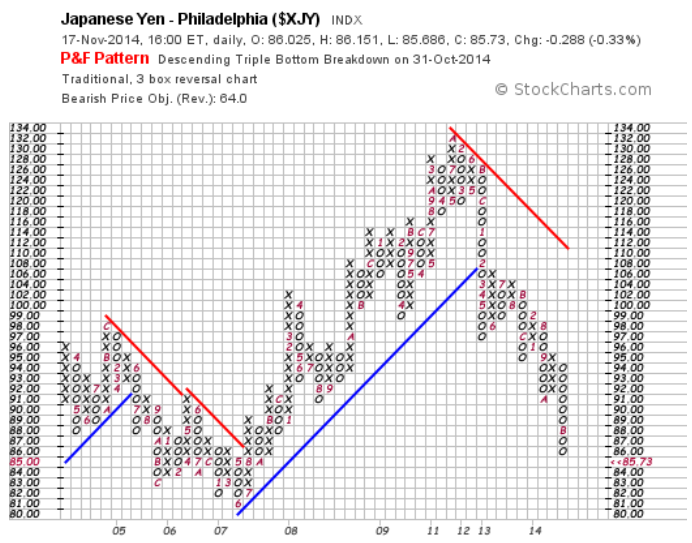 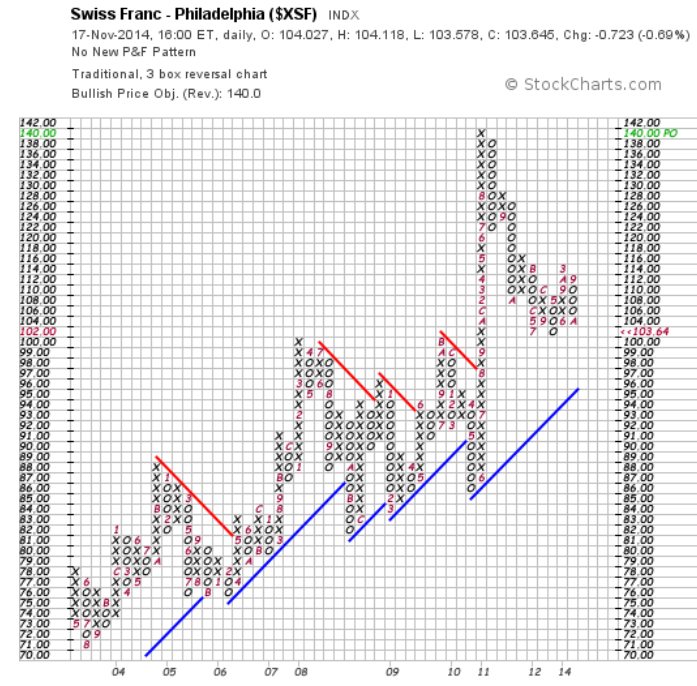 Point and Figure Charts can give us some idea as to where the markets are headed. 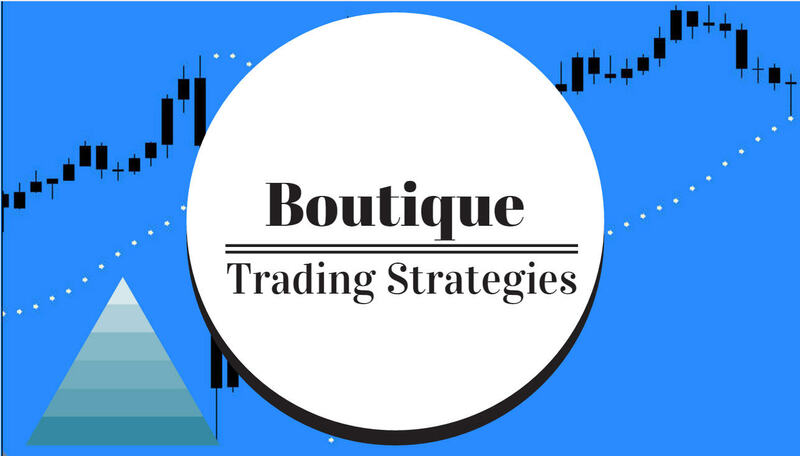 This method of charting has been used for many years and has been proven to have excellent results over the longer term. 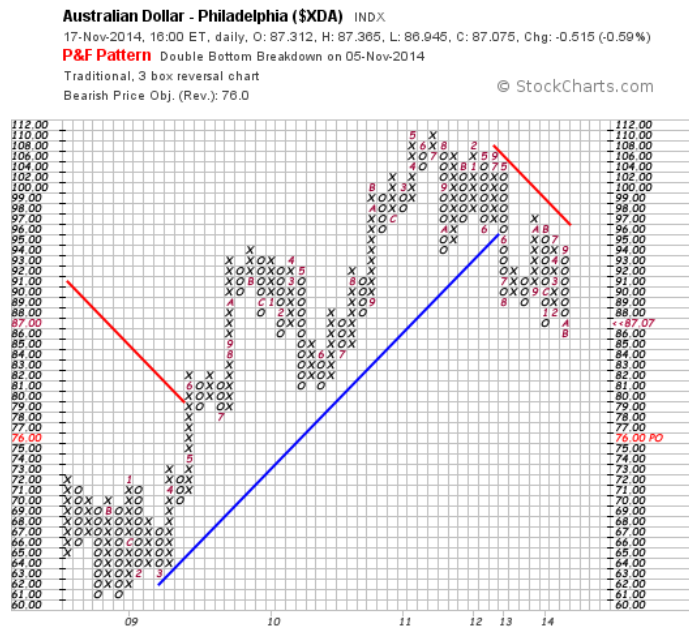 I find it handy to have a look at various P&F charts from time to time to keep me current as to where the directions of currencies may be headed. 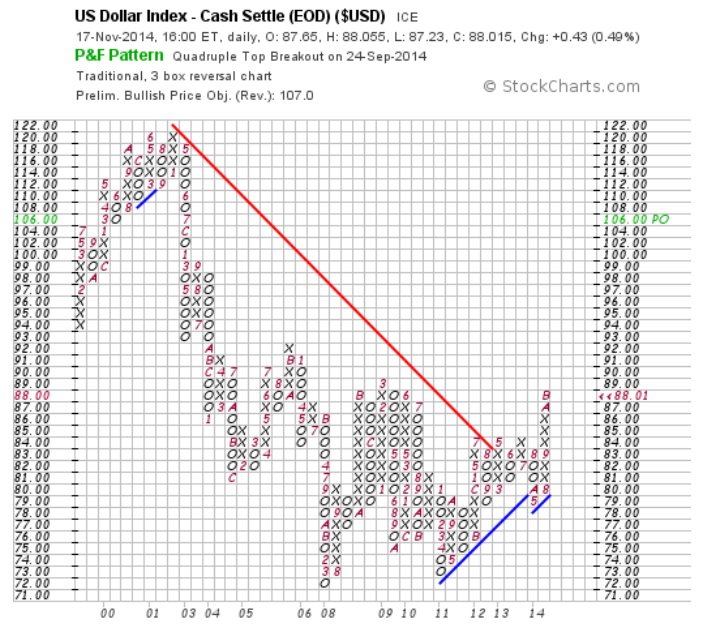 Most of the time on the P&F charts from Stockcharts.com is a target number where the price is expected to travel. 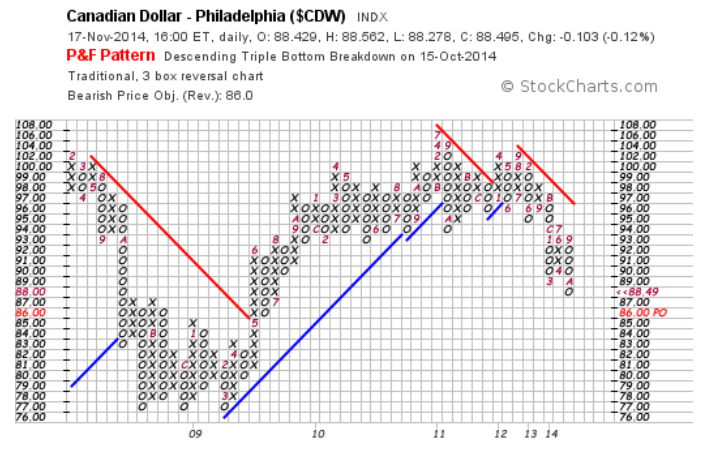 Here are some charts from some of the major currencies as at today.